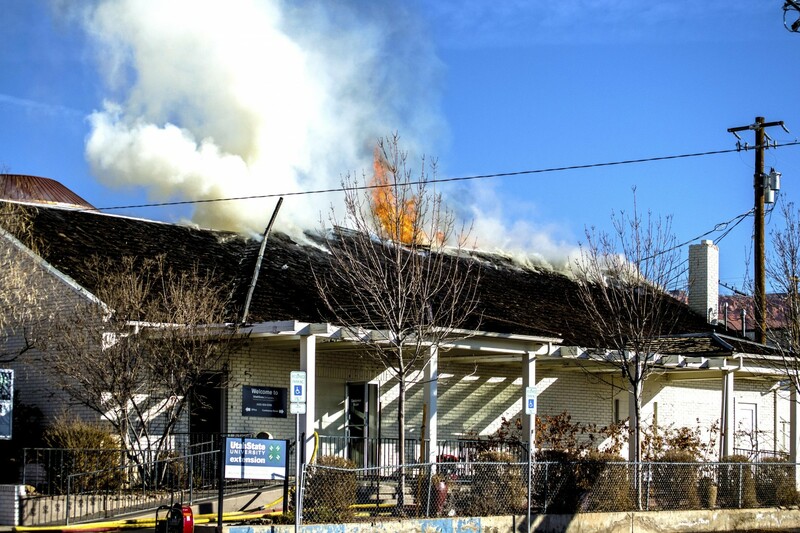 ST. GEORGE – When its original building on loan from the county went up in flames in January, the Utah State University Extension Office in St. George was left without a home. Groups and businesses stepped in to help fill in the gap as 4-H programs run out of the Extension continued until a new home was ultimately provided by the City of St. George. Despite losing the building at 44 North 100 East in the heart of St. George, the Extension continued on with the many programs it offers to youth in the community. There was no down time, said Paul Hill, an assistant professor at the Extension. In some ways, “it was busier,” he said. Luckily, community groups and businesses lent a hand and donated space where needed. One example Hill mentioned was the St. George Lions Club. The Lions Club let the Extension use its building for programs that required either a temporary classroom or kitchen area. “It’s good to know people still care about the Extension,” Hill said. The Extension offers 4-H and other programs that focus on STEM (science, technology, engineering, and math), agriculture, horticulture, developing leadership skills, and aspects of home economics. While some of those programs may require a physical building to take place in, the majority do not, Hill said. The original building that housed the Extension was owned by Washington County and has since been torn down, having been gutted by the January fire. With the exception of paperwork and records that went up in smoke with the rest of the building, Hill said a lot of what was lost has been replaced through grants. Still, there was the matter of a finding a new location. Washington County didn’t have an alternative in which to place the Extension at the time, and though the St. George Lions Club and others were offering space, a central location was still in limbo. That changed when the City of St. George offered a solution that sat at the end of Donlee Drive on the Black Hill. 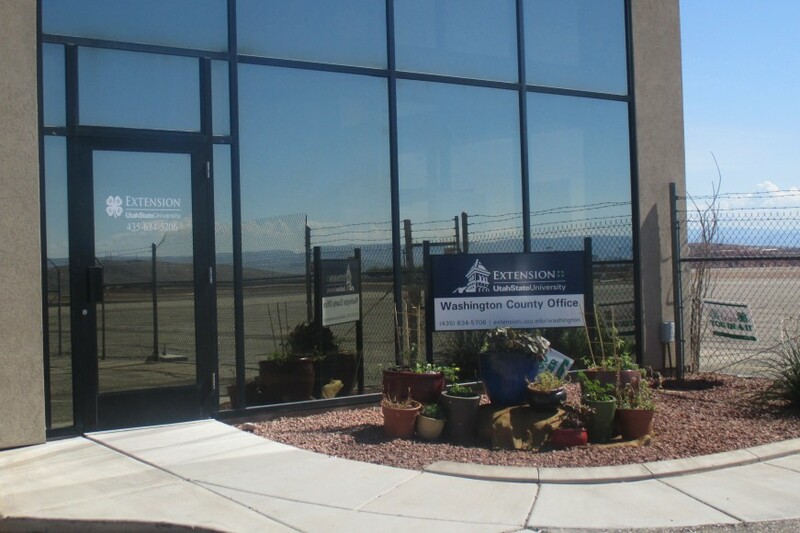 A part of the Ridge Top Complex, formerly the St. George Municipal Airport, the building at 475 S. Donlee Drive has been used by the city for storage and as a training area for emergency responders. Office space located at the southern end of the building has now been lent to the Extension as a temporary home – one that dwarfs the original. “We actually have space now,” Hill said. While the original building served its purpose, it was also getting crowded, he said. Now there’s breathing room. The Extension moved into its new location in March, though faculty were using card tables and folding chairs before replacement furniture arrived in May. Following the arrival of the furniture, the Extension’s staff planned an open house to show off its new location and planned for 300 people – they ended up getting twice that many, Hill said. Though the new location works great for the Extension’s purposes, Hill said it’s a short-term fix, even if that term ends up lasting a few years. “This is definitely temporary, even if for five years,” he said. Marc Mortensen, assistant to the St. George city manager, said the city does have plans for the Ridge Top Complex, though they are long-term and not likely to take shape for at least another 10-15 years. Future possibilities for the Ridge Top Complex include serving as an expanded campus of the Dixie Applied Technology College or a research park that can be used be jointly used by institutions like DXATC and Dixie State University. For the time being though, the Extension has a place to call home.